Sprinkhuizen-Kuyper, I.G. (1976). 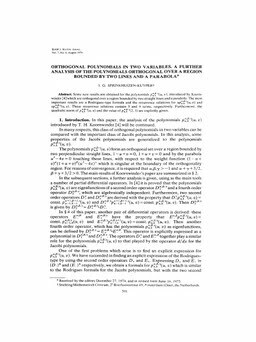 Orthogonal polynomials in two variables : a further analysis of the polynomials orthogonal over a region bounded by two lines and a parabola. SIAM Journal on Mathematical Analysis, 7(4), 501–518.